Today, Dr. Chalabi, president of the International Association to Save Tyre, Lebanon announced the raffle of the Picasso in the United States at the National Press Club in Washington, DC alongside Mrs. Esther Coopersmith, the President of the National Committee for Trye and official Goodwill Ambassador for UNESCO. Founded in 2750 BC, Trye is the center of legends in world history. Tyre is the birthplace of Europa, the legendary Phoenician sea faring navigators and merchants and even the color of purple used to denote royalty. Recognizing the significance of monuments to human kind and critical makers in human history with Phoenicia, Roman and Byzantine archeological structures, UNESCO designated Trye as a World Heritage site in 1984. Now Trye and its cultural heritage are in the cross hairs of war and indifference. Trye rests on the coast of the Mediterranean approximately 51 miles from Beirut, 90 miles from Damascus, Syria and 33 miles to Haifa, Israel. In an effort to preserve and restore the vitality of Tyre, Dr. Chalabi, originally from Trye, is leading the organization to the next level of global engagement to protect the ancient port city. 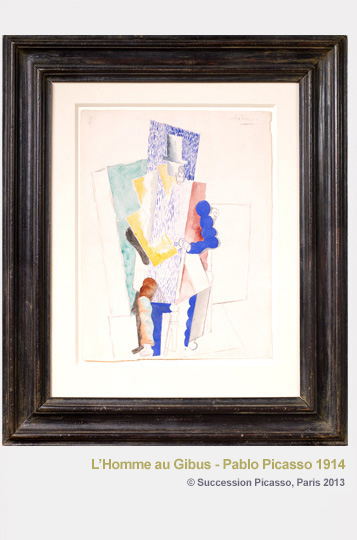 Through a partnership with the Picasso Administration, Paula and Olivier Picasso, the grandchildren of Picasso and Sotheby’s Paris, a certified authentic Picasso, “L’Homme au Gibus” (1914) (Man with Opera Hat), valued at $1 million, is being raffled through the sale of tickets through www.1picasso100euros.com for 100 Euros (or $132) to support two specific projects in Trye to generate trade and research. The first project to be funded is a artisanal training and market reviving the old tradition. Products are currently available for purchase on-line as well as in museum gift shops. The second project to be funded is the Institute of Canaanite, Phoenician and Punic Studies to further advance the knowledge of the cultural heritage, history, ancient languages of the Trye. Almost a third of the available 50,000 raffle tickets have been sold. With almost six months to go, Sotheby’s Paris on December 18, 2013 will select the winner. All funding will be collected, distributed and supervised by the French government. Can art save one of the cultural epicenters of human knowledge and accomplishments? Tags: Canaanite, cross hairs, Cultural Heritage, damascus syria, Maha Khalil Chalabi, opera hat, Paris, Phoenician, picasso administration, piscasso, Punic, Sotheby's, Trye, UNESCO, world heritage site. Bookmark the permalink.